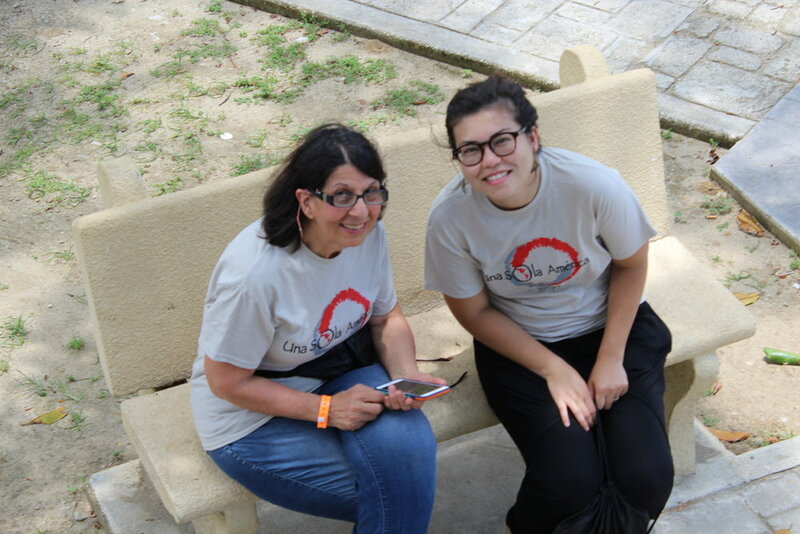 Discover the work of PeaceIN! PeaceIN projects have been the reflection of harmony amongst national and/or religious groups. In July of 1998 I attended my first service project in Honduras, not knowing at the time that this would become my life’s work. Lacking experience, I prepared for the project thinking about how I, as an American, would go to this poor, unfortunate nation and serve the poor, “ignorant” people. (I’m afraid at that time I equated poor with ignorant.) I felt good about myself because I was going to substantially help people in need. 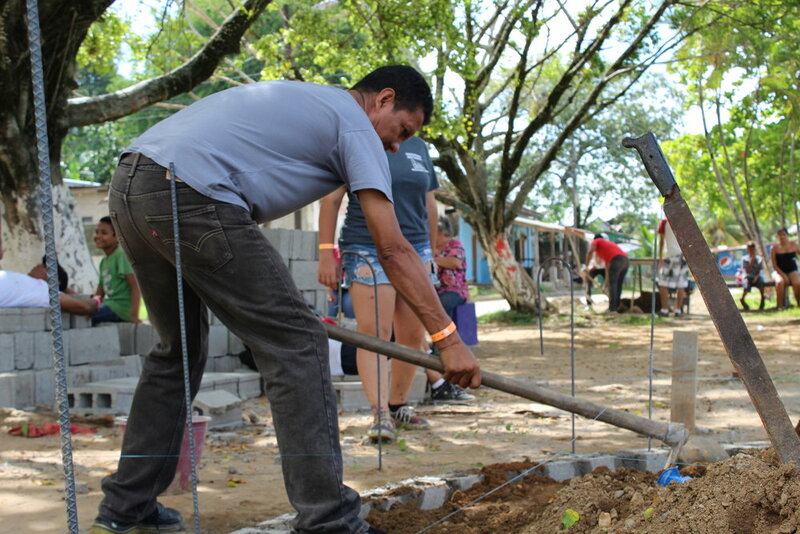 In Honduras we were cleaning a community, which had been devastated by Hurricane Mitch – a storm that took the lives of over 20,000 people and whose floodwaters destroyed every bridge in the nation. In the community of El Sappo where we worked, many of the local children were actively helping us but it is an experience with a particular, nameless nine-year-old boy that proved truly unforgettable. It was easy to see that this child was an eager worker. Instead of steadily pushing the wheelbarrow, he ran enthusiastically with it. While he was running, the wheel fell off the much-used piece of equipment. Seeing this mishap, I instantly thought to myself, “Great, now the wheelbarrow is broken and we have to buy another.” While I was caught up in my own complaints, my young friend was busy scanning the ground. He quickly spotted a bit of wire, re-secured the wheel and took off again, with no time lost. THAT was a profound moment for me – an epiphany. “So, who is the ignorant one now?” I had to ask myself. It was at that moment that I began to realize how little I knew about the world and about peoples’ different situations and perspectives – that it is only through experience that we can understand others and create real peace. If we aren’t making effort to understand the “other” person, culture, religion, environment and/or situation, we are simply judging others from our own narrow perspective. I learned through my experiences that we are all equally granted talents, intelligence and strength. Though we are born into many different environments, we each have the responsibility to develop as we are meant to uniquely develop. Every new experience, every new person we meet and every new thing we learn brings us closer to our true self and adds to our ability to relate to the larger world. I discovered that through working, serving, and creating together I’ve been enriched and have developed friendships, and have learned to better love the peoples of the world. Mosaic wall at community mosque designed by students. The project included cooperation of participants representing 5 religions creating a mosaic on a Mosque. The design was a composite drawing of Muslim children's art work. Participants from four countries built a mosaic wall at a neighborhood senior center and a nearby kindergarten. The mosaic design was created by the senior citizens and executed intergeneration-ally. 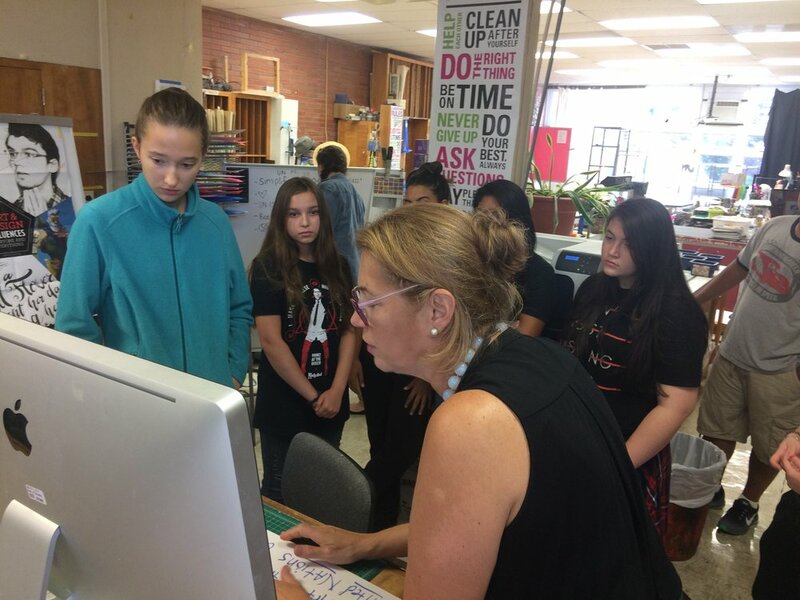 Local school children visited with their teachers and classes joined together in the designing and creating of four mosaic benches and a large wall design. International service group, Youth Service Initiative, guided local Muslim and Dutch children in the making of a peace park. Through the activity, the children left with a better understanding of their unity and diversity. Peace park bench designed by Montclair State University art students. 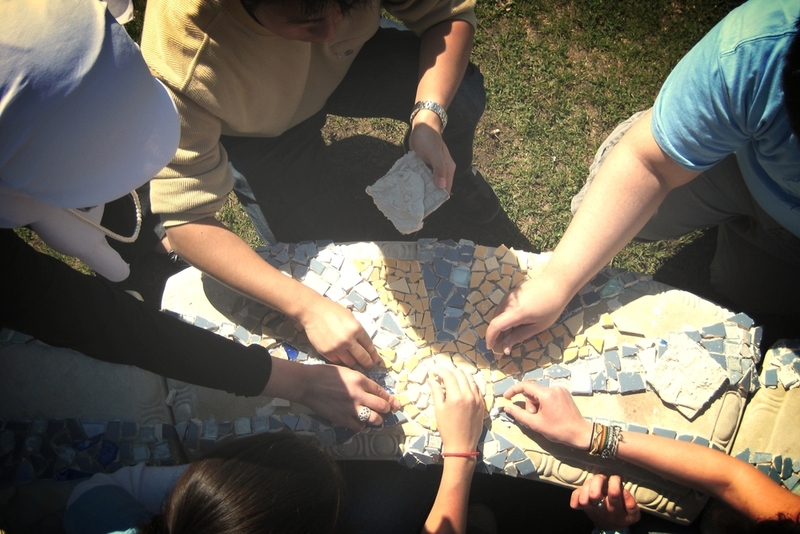 Students from Montclair State University and other universities, under the banner of the Collegiate Association for the Research of Principles, organized a mosaic project on the campus of Montclair State University. The project was the beginning of the development of a mini peace park. This project included inviting the athletes, sports staff and community members attending a charity sports event to join in creating a mosaic which was designed to be a gift to the local St. Peter’s Recreation Center in Newark. 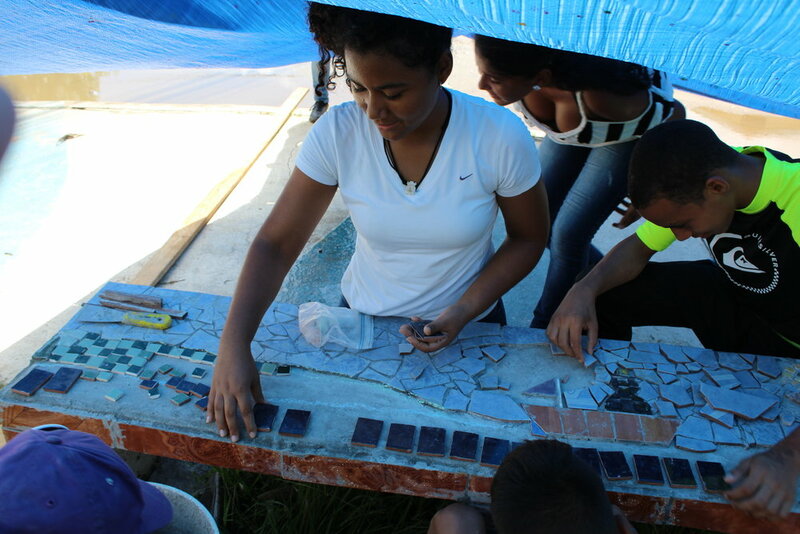 Peace park mosaic at local university designed in collaboration between North American and Honduran youth artists. A cultural exchange project took place between young people from Honduras and Nutley, New Jersey, USA. 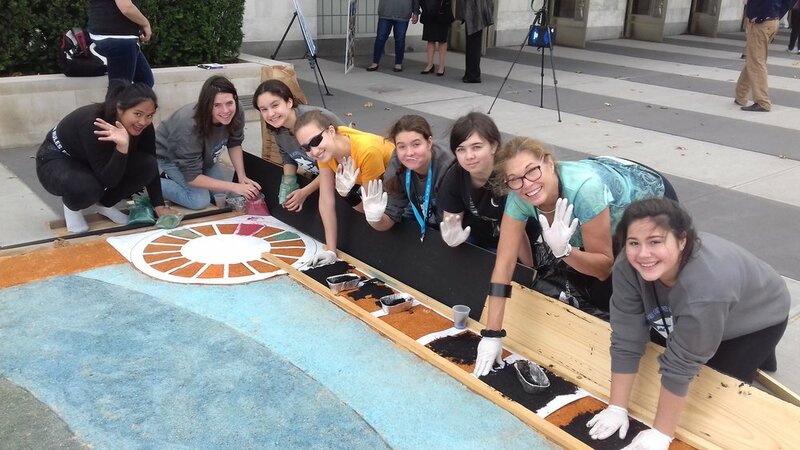 Honduran students taught USA students the art of making the traditional "alfombra" - sawdust carpet. This project was part 1 of a three year initiative. 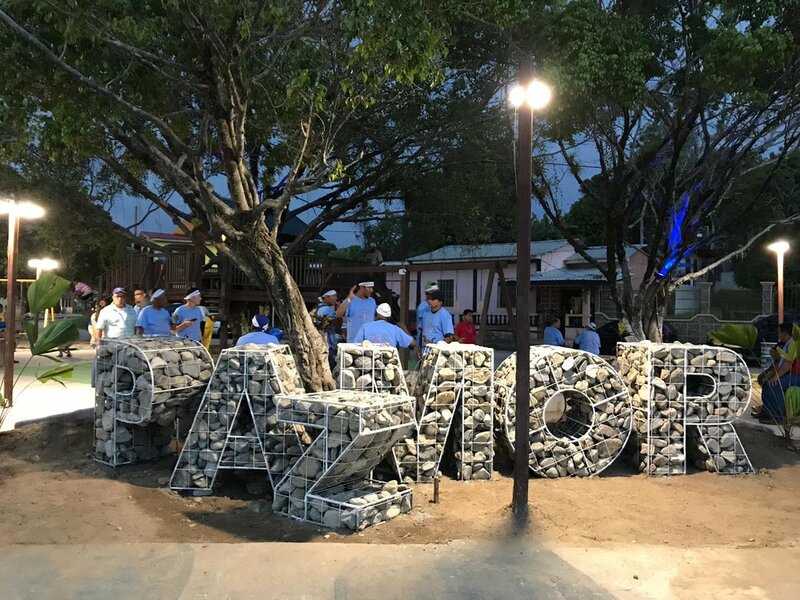 Participants laid the foundation work to create a Peace Park - designed and built by young people from North, South and Central America, representing their solidarity. The theme of this project was "Only One America/Una Sola America"
This project was part 2 of a three year initiative. 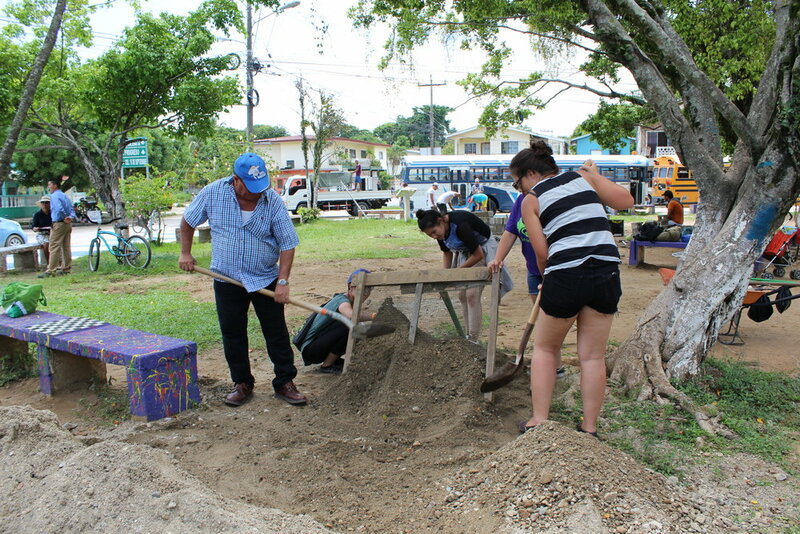 Participants continued working to create a Peace Park - designed and built by young people from North and Central America, representing their solidarity. 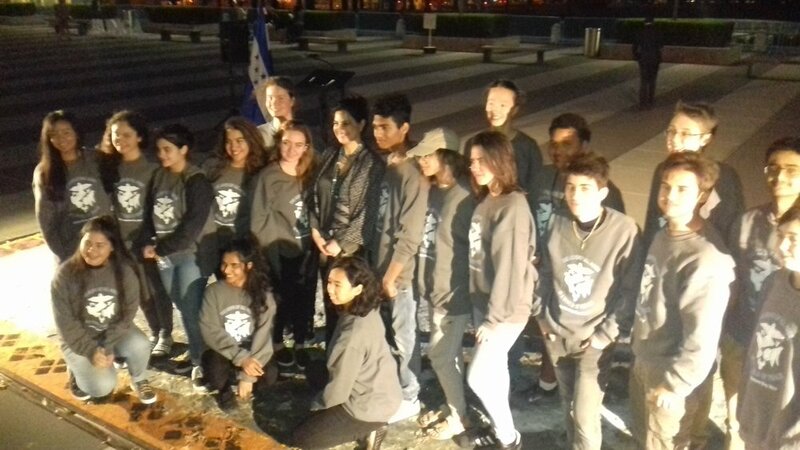 The theme of this project was "Only One America/Una Sola America"
A cultural exchange project took place between young people from Honduras and Nutley, New Jersey, USA. Honduran students taught USA students virtually via computer the art of making the traditional "alfombra" - sawdust carpet. This project was in cooperation with the Permanent Mission to Honduras at the UN - in celebration of United Nations Day. This project was Phase 2 - Part 1 of a three year initiative. 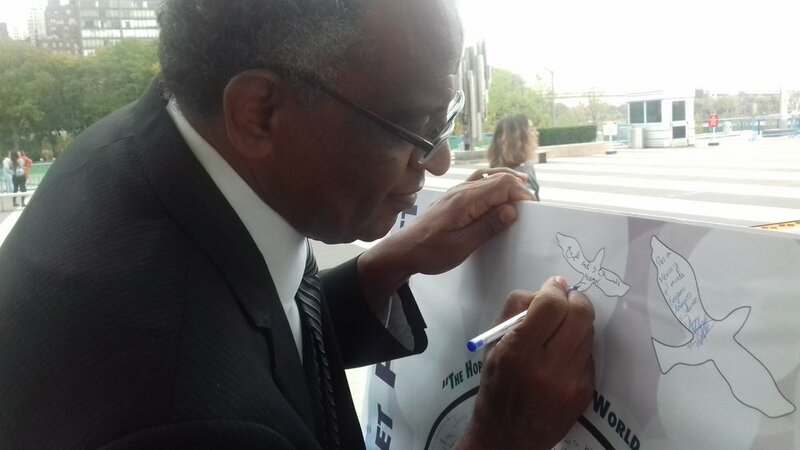 Participants continued working to create a Peace Park - designed and built by young people from North, South and Central America, representing their solidarity. 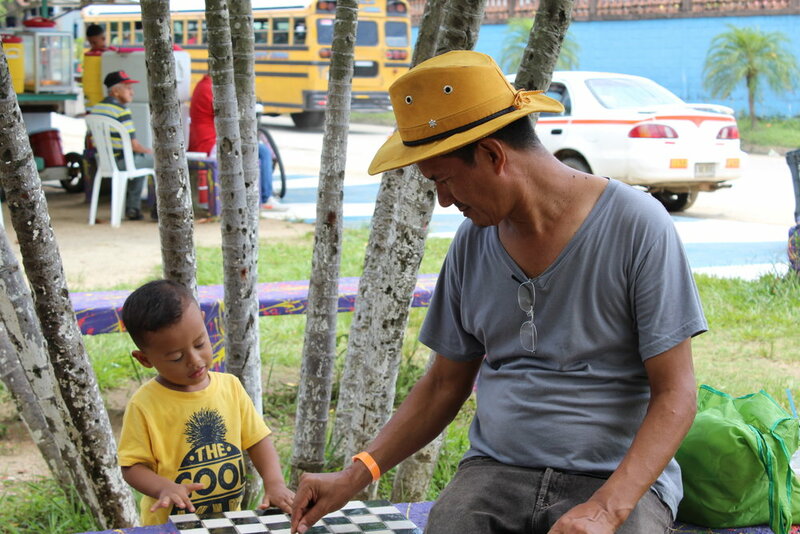 The theme of this project was "Only One America/Una Sola America" The project was followed up by a “Peace Road” march of approximately 400 youth from Tela City Hall to the Peace Park.